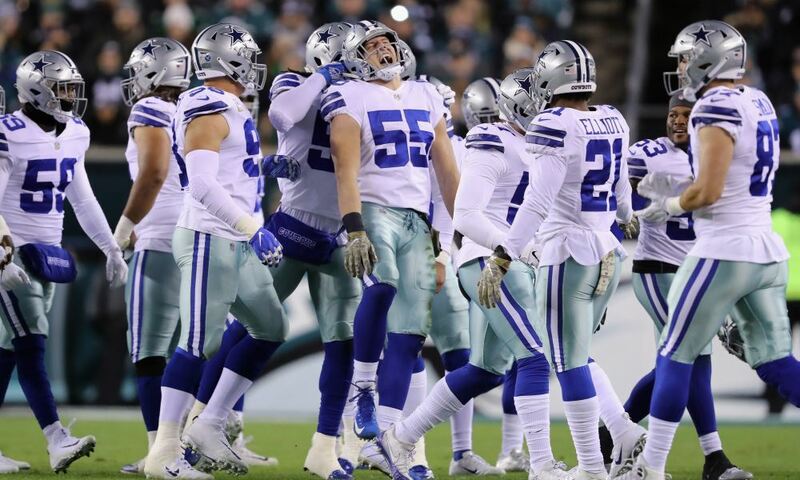 The 2018 NFL Season has come to an end for the Dallas Cowboys and now the team looks to the offseason to gear up for what should be another run toward the playoffs in 2019. As with every team heading into every offseason, they'll have some difficult decisions to make with some of their own players as well as deciding how they want to attack free agency and the draft. The Cowboys have drafted really well over the last three seasons in particular, but have had a long track record of success in the Jason Garrett era. How we judge the draft this season should take into account what Amari Cooper has been to this team. He's been everything the Dallas Cowboys hoped for when they sent their 2019 first round draft pick to the Oakland Raiders for Cooper. The Cowboys, without a first round pick, will have less room for maneuvering around the draft, but as we've seen in the past, they are just as effective in the second round and beyond as they are in the first round. 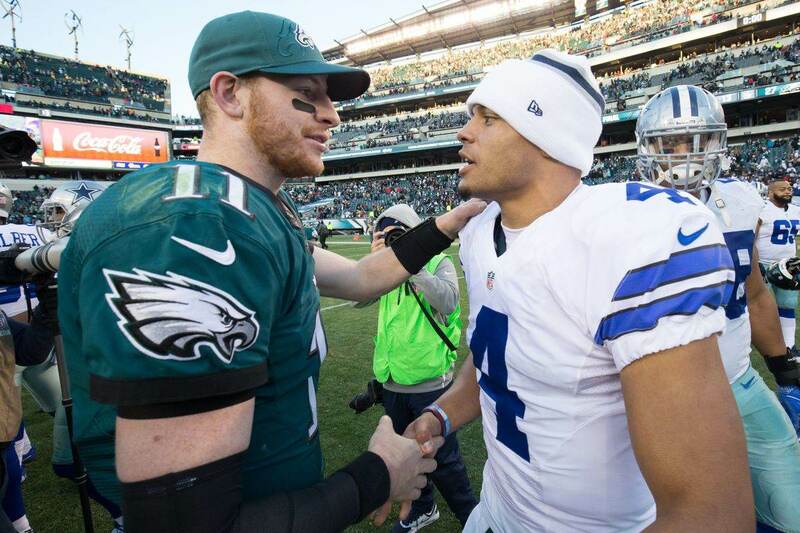 As we get going in the offseason, let's look at the Dallas Cowboys 5 Most Pressing Priorities. The NFL is a passing league. You need players who can throw the ball and catch the ball. On the defensive side of the ball, you must have guys that can get after the passer and cover the receiver. After moving to the 4-3 defense and the departure of DeMarcus Ware, the Cowboys struggled to find any pass rushing consistency at the defensive end position. They were led at the position by players like Jeremy Mincey, George Selvie, and Benson Mayowa. Finally, the Cowboys selection of DeMarcus Lawrence is paying off has he's had double-digit sacks each of the last two seasons and has been equally effective against the run. The Cowboys have the option of using the franchise tag on Lawrence again this offseason, which is a possibility as it would prevent other teams from negotiating with the Cowboys best defensive player. While the Cowboys need to continue to build the team through the draft and extend a few players, there isn't a bigger offseason priority than getting DeMarcus Lawrence's deal done. There was a lot of consternation yesterday at the comments Jason Garrett made to 105.3 The Fan in Dallas-Fort Worth about Scott Linehan's future with the team. It's obviously a possibility that he returns in 2019, but as Stephen Jones mentioned later in the day, it's too early to begin discussing those things as they haven't really began to review the season. Scott Linehan has been good as an offensive coordinator and he's been a part of Dak Prescott's progression, but there are certain areas of this offense that need to be reworked or shaken up. Whether the Cowboys decide to move on from Linehan or they decide to make adjustments to the scheme, something needs to change. In particular, the team's insistence on using jumbo packages on every short yardage situation has made them predictable. On 4th and 1 on Saturday, the team went to the Ezekiel Elliott in jumbo formations one too many times. In an era when most of the NFL is attempting to spread things out with 11 and 10 personnel, the Cowboys continue to force two and three tight end formations. This offseason is just getting started and the Cowboys have a lot of decisions to make about their offense, but none is bigger than figuring out who the play caller is going to be. While the team may be publicly supporting Scott Linehan at the moment, it would be highly unlikely for the team to bring him back for another year. The Dallas Cowboys began the process of overhauling the wide receiver corp last offseason when they released Dez Bryant, signed Allen Hurns and Deonte Thompson, drafted Michael Gallup and Cedric Wilson, and traded for Tavon Austin and most importantly Amari Cooper. Generally, when the Dallas Cowboys have attempted to rebuild a position, they've done it over a few seasons, like they did with the offensive line, the defensive line, and the linebackers. This offseason, the Cowboys will have a few decisions to make at the wide receiver position. Do they bring back Cole Beasley? What about Tavon Austin? Allen Hurns would have likely been a player the Cowboys could have used in the slot to replace Cole Beasley, but he's hurt and possibly won't be ready for training camp. On offense, the passing game began to take shape in the second half of the season as Dak Prescott began to get more comfortable with Amari Cooper and Michael Gallup. They'll make a nice 1-2 punch heading into 2019, but there is still room for adding a player or two. Depending on the type of contract he'd want, it would be great to bring back Cole Beasley. It's become clear that he's not as big of a focal point in the offense since Amari Cooper has emerged, but he's still a good player that can make some big catches for you. If the team looked to the draft, one player that is high on my list is Oklahoma Wide Receiver Marquise Brown. He's a home run hitter in every stretch of the imagination. With speed for days, he could be the field stretcher that the team has struggled to find. Not only does he have speed, he's an excellent route runner and has excellent hands and spends the offseason training with Steelers Wide Receiver and cousin Antonio Brown. If the Cowboys wanted to go the free agency route to add a wide receiver, they should look at Jamison Crowder of the Washington Redskins or Adam Humphries of the Tampa Bay Buccaneers to fill their slot wide receiver role. If you remember back to the Bucs game, Humphries was giving the Cowboys fits totaling 10 catches on 12 targets for 79 yards. Crowder struggled with injuries this season and had a down year, but that could mean he'd be cheap to sign, which is the way the Dallas Cowboys do free agency. There are some nice players in the draft and free agency that the Cowboys could look to add to their wide receiver group, but they'll also be getting back Cedric Wilson, their sixth round pick from last season. The team really liked the production that Wilson had at Boise St. and Wilson was playing well in training camp and was pushing for a roster spot before his season ending injury. Noah Brown is also a player in line to see more snaps moving forward. He's played well when called upon, using his superior blocking to make an impact in the running game while displaying nice route running and hands in the passing game. If Cole Beasley didn't return to the Cowboys this offseason, I could see the Cowboys giving Brown an expanded role on the outside or using him as a big slot receiver, similar to how the Arizona Cardinals use Larry Fitzgerald or how the New Orleans Saints use Michael Thomas. He has the size to be a mismatch for slot corners and the route running to be a mismatch for linebackers. They could also use Brown on the outside, put Cooper in the slot and then when they want to use Brown as a blocker, could motion him in-line. Wide receiver will be a big question this offseason as teams must have three or four solid receivers to run their offense. The Cowboys have some players that could be given expanded roles, but should continue to add to the position through the draft. Most of 2018 was spent discussing the possibility of trading for Seattle Seahawks Safety Earl Thomas, and I imagine that much of this offseason will be spent discussing him again. If you got tired of Earl Thomas talk last year, get ready, it's about to pick up. Earl Thomas will be a free agent this offseason, so he'll be free to sign with any team he chooses and he's made it known that he'd like to play for the Dallas Cowboys. There are several question marks when it comes to Earl Thomas that the Cowboys will have to consider. When will he be ready to go? What kind of money will he demand? Has health become a concern? All legitimate questions for a player that will be coming off a broken leg suffered this season. He should be ready for offseason training as there have been videos posted to his Instagram showing him running stadiums. If he's ready to roll by free agency and is able to pass his physical, I bet they take another long look at adding him to the roster. They have another free agent option that they can look into though in New York Giants Safety Landon Collins. He's a different type of safety than Earl Thomas, but Collins is a player. He's more of a "box" or strong safety that you could use to play the Jeff Heath role, which would leave Xavier Woods playing the free safety spot. 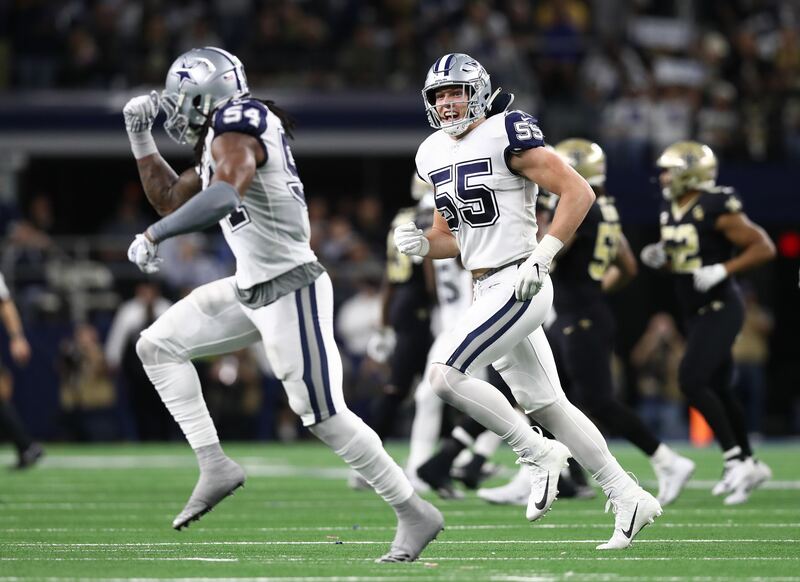 Antwaun Woods, Maliek Collins, Tyrone Crawford, Caraun Reid, and Daniel Ross played well for the Dallas Cowboys defense, but as we saw on Saturday night against the Los Angeles Rams, they were lacking as a group. In Woods, Collins, and Crawford, you feel good with what you have as you approach free agency and the draft, but they need to add a player that can help them with their interior pass rush. Much of the pass rush that the Cowboys received this season came from their defensive ends and linebackers. The tackles were good, but inconsistent in their ability to collapse the pocket and not allow any room for opposing quarterbacks to step into. This is a draft that is deep on defense and the Cowboys will have a chance to add to their defensive tackle spot with their second round pick. With Rod Marinelli likely returning to the Dallas Cowboys next offseason, we know his ability to find diamonds in the rough. I wouldn't be surprised if they go practice squad diving again this offseason and find a player that can have a significant impact like David Irving did in 2017 and Antwaun Woods did in 2018. It's unlikely that David Irving will be back and Tyrone Crawford could be a cap casualty if the Cowboys no longer want to carry his $10 million cap number. The Cowboys are likely to bring back DeMarcus Lawrence, Randy Gregory is still under contract, as well as Taco Charlton and Dorance Armstrong. They are pretty solid at defensive end, but could still add a player to compete with Taco and Armstrong. Defensive tackle though, is a place where they need to make a move to upgrade the position. The defense was really good last season, but needs to look for ways to improve heading into 2019. The Dallas Cowboys will do as they always do this offseason as they approach the roster; sign inexpensive veterans with the hope that they outperform their contracts and attempt to draft well yet again. It's a formula that has worked for them and there's no reason to think it won't continue moving forward.